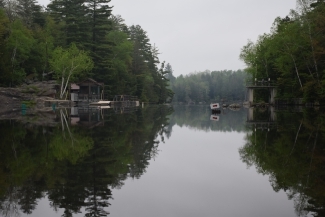 SARANAC LAKE — A hot time in a cold rink. 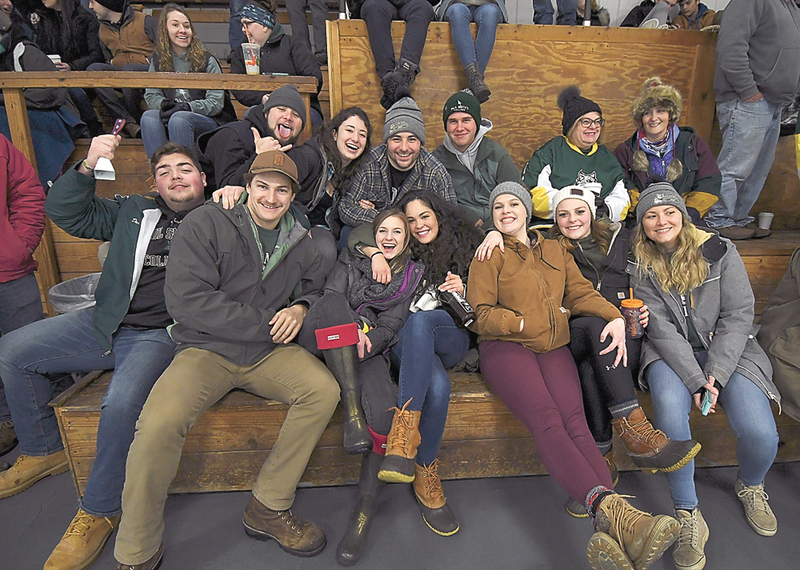 That might be one way to describe the scene at the Saranac Lake Civic Center on Friday, as Paul Smith’s College held its second alumni hockey game. The contest pitted this year’s Bobcats team, which is playing in its first season as a club level squad, against alumni from the college. The alumni team raced out to a 4-0 lead and never looked back on the way to posting a 10-8 victory. The alumni led from start to finish, although the current Bobcats icers did make things interesting in the closing minutes when they scored three times in a span of 40 seconds to slash their deficit to 8-7 with just over two minutes left in the game. But the alumni responded in a big way, answering with two quick goals to seal the deal. The game was played in front of a big crowd that included many current students who boisterously filled the stands. Unlike most sporting events where the winning side leaves happy while the losers are disappointed, skaters on both teams stepped off the ice with smiles on their faces. 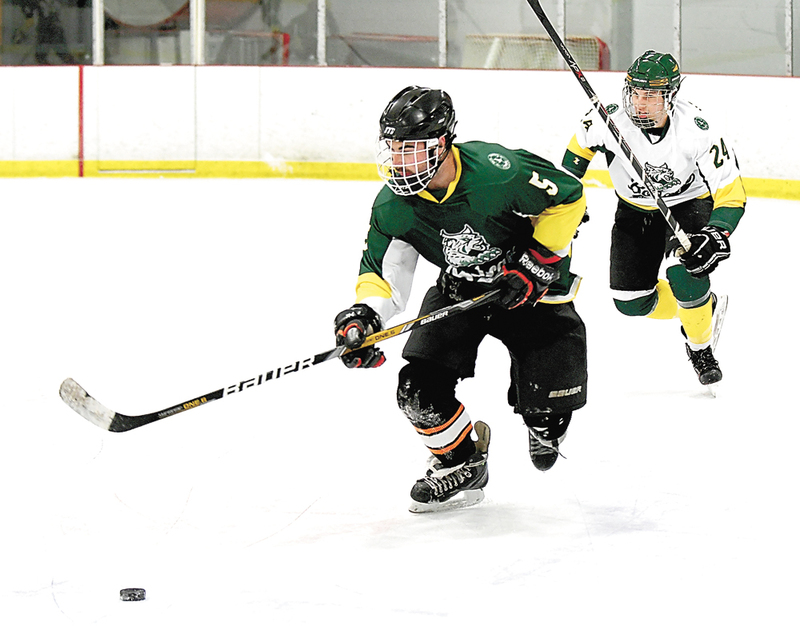 One of the Bobcats skaters was Paul Smith’s College player Connor Gale, who was instrumental in bringing back hockey to the school last winner after the sport had a brief run during the early 2000s before the program was dropped. “I know I love playing hockey, and I knew that a lot of people on campus wished there was a hockey team, so I got a group together. 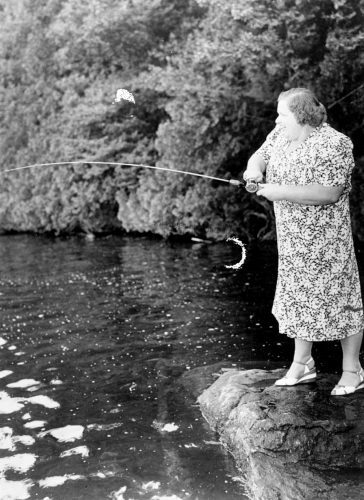 It was about seven to start, and we just started a club,” Gale said describing how the seeds of the rebirth of hockey Paul Smith’s were sewn. 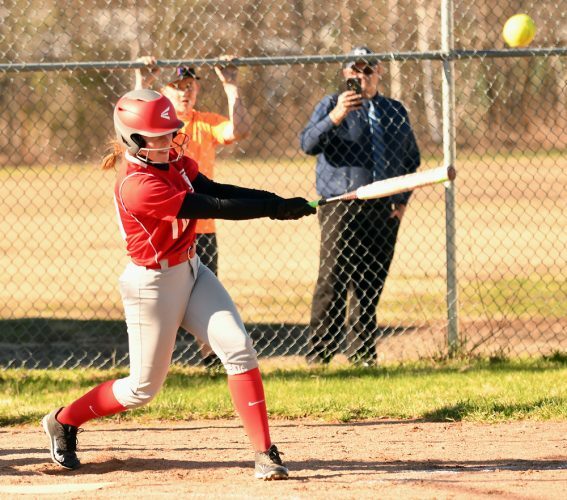 “We actually debuted, our first game was our alumni game last year. 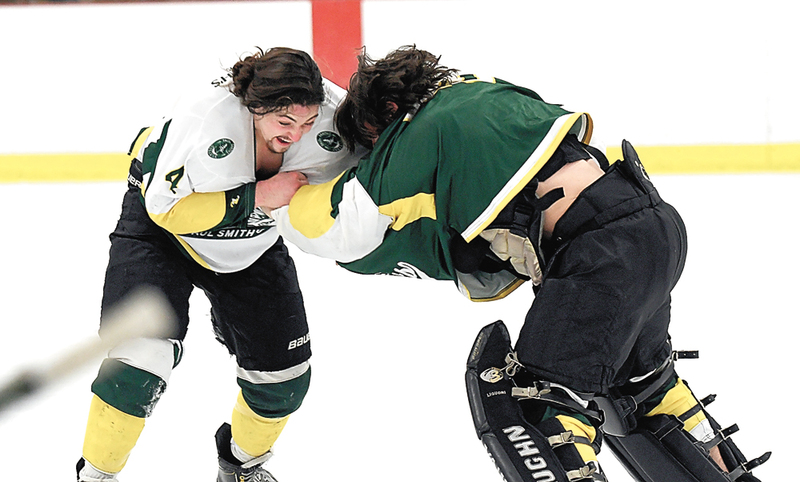 The Paul Smith’s College hockey team has two matchups remaining in its inaugural season. 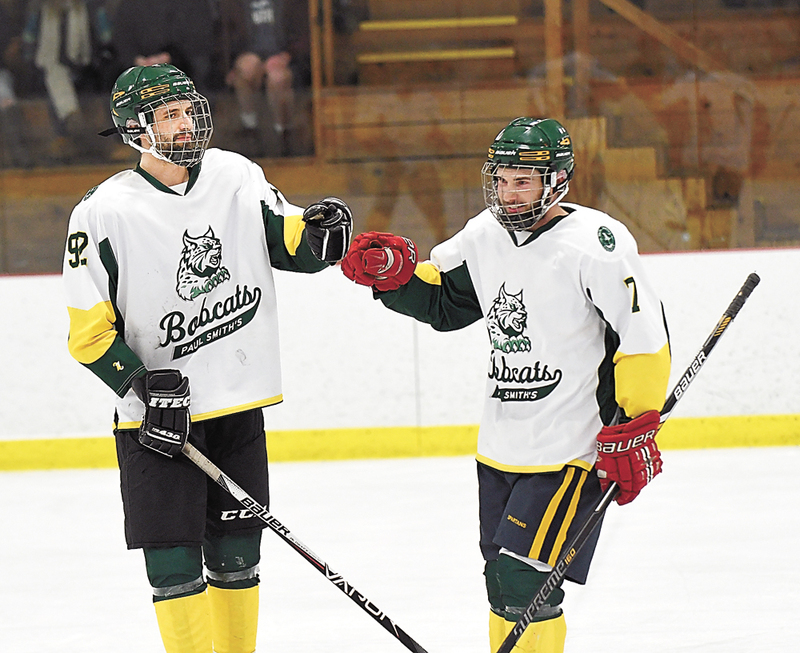 The Bobcats play again Sunday at the Saranac Lake Civic Center against SUNY Canton’s club team with the opening faceoff slated for 10:15 a.m. 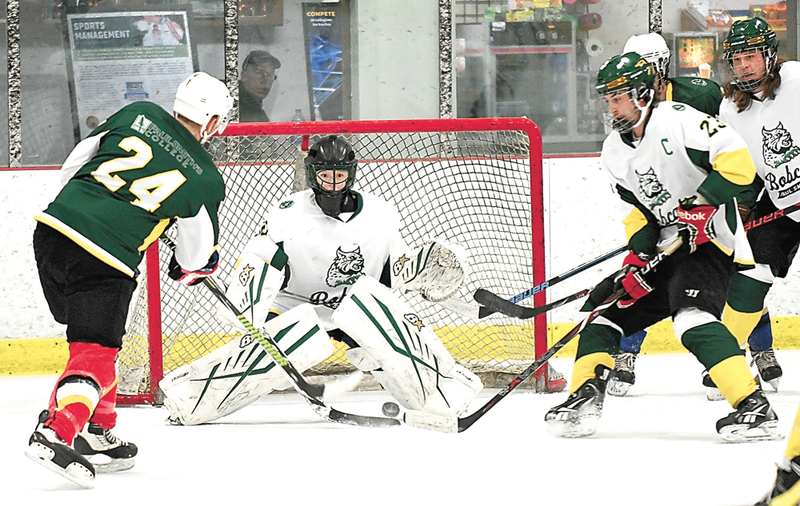 The ‘Cats final game of the season is slated to be held in Tupper Lake on Feb. 23 against St. Lawrence University’s club squad starting at 1:30 p.m.